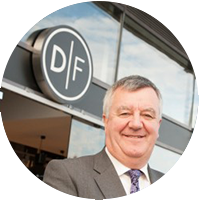 Donnybrook Fair is a family run business that provides a friendly & personal service to the local communities and surrounding areas. We worked with them on their Grand Canal Dock location. A new stylish upmarket Deli for renowned foodies Donnybrook Fair. DF Deli is a concentrated offer tailor made for a compact high profile site adjacent Grand canal square and theatre, Google and Face book European HQ’s. Designed to make use of every inch of space, with graphics by Scale, the store feels spacious contemporary and fresh, as if it just landed from New York. Instantly successful the new Deli has exceeded revenue expectations and enhanced this bustling docklands area. Photography by Gareth Byrne. We want our customers to have a unique shopping experience in our stores. Our team is committed to the putting the customer at the forefront of everything that we do. Our aim, as people who are passionate about food, is to make great quality, seasonal local and handmade products as accessible as possible to as wide an audience as possible. Donnybrook Fair was a fair that was held in Donnybrook, Dublin from the 13th century until the 1850s. In the year 1204 King John of England granted a licence to the corporation of Dublin to hold an eight-day fair in Donnybrook.